Planning, designing and delivering of specific areas of teaching and learning within Architectural Technology related courses. Undertaking a range of academic management duties associated with the pathway, assessment and the student experience. Moulay Larbi Chalal is a qualified Architect with three years of experience in practice. He is currently a full-time lecturer in Architectural Technology at Nottingham Trent University, where he has been involved in various hourly paid teaching roles since 2015. He holds a master degree with distinction in Digital Architectural Design from Salford University Manchester. Moreover, 2013 Emerald award for the best Master dissertation in the school of the Built Environment, Salford University. 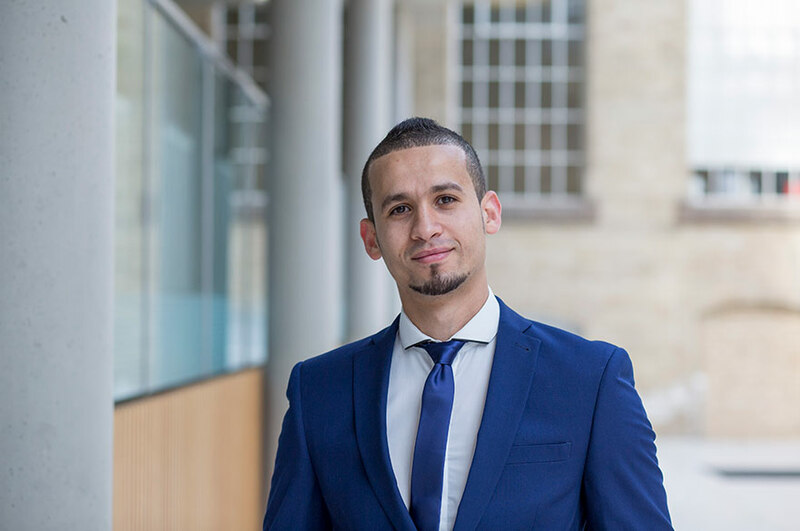 In 2014, he was awarded The Nottingham Trent University vice chancellor’s scholarship to pursue his PhD in Architecture, and he is expected to submit his dissertation by September 2017. The application of algorithmic/ generative design principles in Architecture and urban design. Innovative visualisation techniques and digital design models and processes. BENACHIR, M., CHALAL, M.L., 2017. Impact of household transitions on domestic energy consumption and its applicability to urban energy planning [J]. Front. Eng, 2017, 4(2): 171-183. nformation Modeling, 5(4), pp.39-53. Chalal, M. and Benachir, M., 2017. Powerful Predictions. [ebook] London, UK: The Energy Industry Times. Available from: http://www.academia.edu/31795101/THE_ENERGY_INDUSTRY_TIMES_-MARCH_2017 [Accessed 1 Aug. 2017]. Chalal, M.L., Benachir, M., White, M., Shahtahmassebi, G., Cumberbatch, M. and Shrahily, R., 2017. The impact of the UK household life-cycle transitions on the electricity and gas usage patterns. Renewable and Sustainable Energy Reviews, 80, pp.505-518. Chalal, M.L., Benachir, M., White, M. and Shrahily, R., 2016. Energy planning and forecasting approaches for supporting physical improvement strategies in the building sector: A review. Renewable and Sustainable Energy Reviews, 64, pp.761-776. Shrahily, R., Medjdoub, B., Kashyap, M. and Chalal, M., 2015. Communication framework to support more effective onsite construction monitoring. Building Information Modelling (BIM) in Design, Construction and Operations. Chalal, M.L. and Balbo, R., 2014. Framing digital tools and techniques in built heritage 3D modelling: the problem of level of detail in a simplified environment. The International Journal of the Constructed Environment, 4(2), pp.39-52.